Our standard spring cleanup service includes the raking up of any leaves and debris from all lawn areas, landscape beds and walkways. Using proper pruning techniques, we prune any winter-damaged limbs on ornamental trees and shrubs. We then hand edge all landscape beds, walkways and curbs and provide the first cutting of the lawn for the season. Lastly, we blow debris off all hardscape surfaces such as walkways and driveways to complete the cleanup. Our weekly maintenance services include the mowing of all lawn areas. We then trim around all stationary objects, such as fencing, mailboxes, curbing, etc. Lastly, we blow debris off all hardscape surfaces such as walkways and driveways to complete the service. Our weekly maintenance service can also be customized specifically for your property in order to accommodate your exact needs. Our standard pruning services include the pruning of all ornamental trees and shrubs in accordance with proper practices and techniques. These services typically occur during the summer months in order to promote new and healthy growth. Lastly we remove any debris created from the site to complete service. Our standard fall cleanup is very similar to the spring cleanup with the main exception of the cutting back of any perennials and/or ornamental grasses. The fall cleanup includes the raking up of any leaves and debris from all lawn areas, landscape beds and walkways. We then provide the final cutting of the lawn for the season. Lastly, we blow debris off all hardscape surfaces such as walkways and driveways to complete the cleanup. Mulching services include the installation of our shredded hardwood (brown) mulch. Alternative mulch options are also available upon request. For added weed prevention in mulched areas, we offer the application of Treflan. Our lawn aeration service includes core-aerating your lawn to a depth of approximately 2”. We then broadcast a premium grass seed mix over the aerated lawn to promote a healthier lawn. 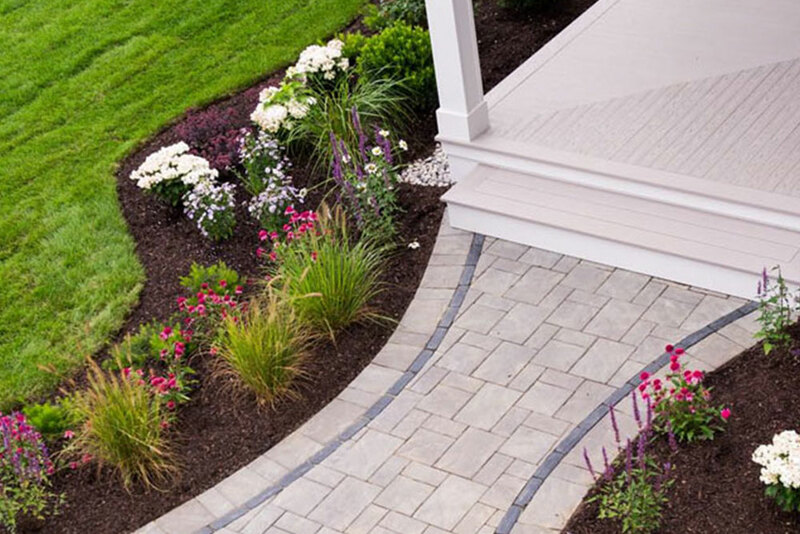 Maintaining your property’s landscape can be hard work and requires time. Let us take care of it for you! Whether we maintain the landscape at your family home or place of business, we will keep your property in tip-top shape and save you the time and effort of having to do it yourself. Early spring application:Custom blend of fertilizer with pre-emergent crabgrass control as necessary. Late spring application: Custom blend of fertilizer with pre-emergent crabgrass control and broadleaf weed control as necessary. Late summer application: Custom blend of fertilizer with broadleaf weed control as necessary. Fall application: Custom blend of fertilizer to encourage and enhance root development. Winterization application: Custom blend of slow release fertilizer to encourage and enhance root development and enhance strong growth in the spring.